Made of unbreakable plastic. 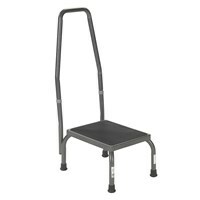 Features non-slip step and legs. Stool is 9 inches high.